The items were produced from Sept. 27, 2017, through Oct. 15, 2018, and distributed to Trader Joe's and Harris Teeter. WASHINGTON — Double check that prepackaged ready-to-go meat in your refrigerator. Bakkavor Foods USA, Inc. is recalling almost 800,000 pounds of ready-to-eat meat and poultry products that contain an onion ingredient which may be contaminated with salmonella and listeria monocytogenes, according to the USDA. 16 oz. plastic-wrapped with paperboard sleeve packages containing Harris Teeter Fresh Foods Market Deli-Bakery brand “BBQ Style Chicken Artisan Pizza” with “use by” dates from Jan. 1, 2019, through April 11, 2019, printed on the case packaging. 8 oz. butcher-paper wrapped packages containing Harris Teeter Fresh Foods Market Deli-Bakery brand “Chicken Sausage, Egg White and Cheese Breakfast Burrito,” with “use by” dates from Jan. 24, 2018, through Oct. 25, 2018, printed on the case packaging. 10 oz. butcher-paper wrapped packages containing “Trader Joe’s Carnitas with Salsa Verde Burrito,” with “use by” dates from Oct. 8, 2017 through Oct. 24, 2018 printed on the retail packaging. The products subject to recall have the “established” numbers of: EST. 19198, P-19198, EST. 46937 or EST. 45335, inside the USDA mark of inspection. These items were shipped to retail locations nationwide. The problem was discovered Oct. 16, 2018, when Bakkavor Foods USA, Inc. received notification that the onion used in the production of their ready-to-eat meat and poultry products was being recalled by their onion supplier due to listeria monocytogenes and salmonella concerns, the USDA says. There have been no confirmed reports of adverse reactions due to consumption of these products. Anyone concerned about an injury or illness should contact a health care provider, according to a news release. 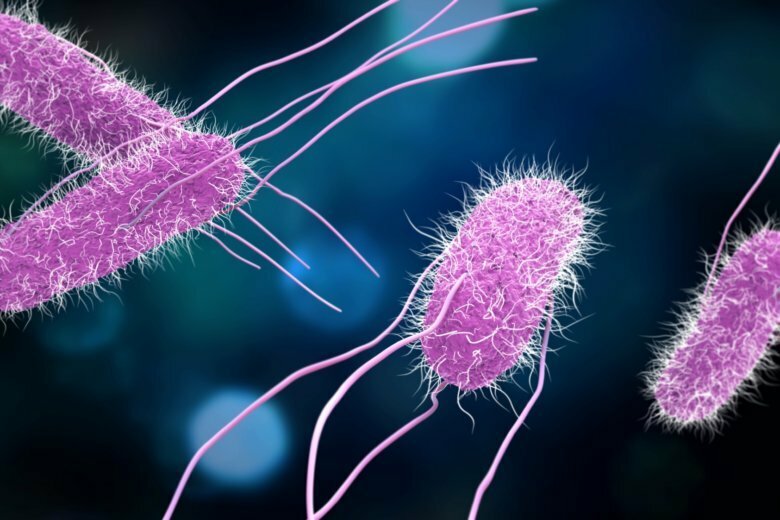 Consumption of food contaminated with salmonella can cause salmonellosis, one of the most common bacterial foodborne illnesses, according to the USDA. The most common symptoms of salmonellosis are diarrhea, abdominal cramps and fever within 12 to 72 hours after eating the contaminated product. The illness usually lasts four to seven days with most people recovering without treatment, according to the news release. In some people, however, the diarrhea may be so severe that the patient needs to be hospitalized. Older adults, infants and people with weakened immune systems are more likely to develop a severe illness, according to the USDA. Consumption of food contaminated with L. monocytogenes can cause listeriosis, a serious infection that primarily affects older adults, persons with weakened immune systems and pregnant women and their newborns. Listeriosis can cause fever, muscle aches, headache, stiff neck, confusion, loss of balance and convulsions sometimes preceded by diarrhea or other gastrointestinal symptoms, the USDA says. The USDA is concerned that some product may be in consumers’ refrigerators or freezers. Those who have purchased these products are urged not to consume them. These products should be thrown away or returned to the place of purchase, according to the news release. Consumers with questions regarding the recall can contact the Bakkavor Foods USA, Inc. Corporate Recall Line at 1-855-312-7504.